BusyKid helps you and your child plan and organise the week ahead! If you have children in your household, you will know how busy life can be! BusyKid brings you fun and easy-to-use planning products to help you and your children plan, organise and schedule the week ahead. 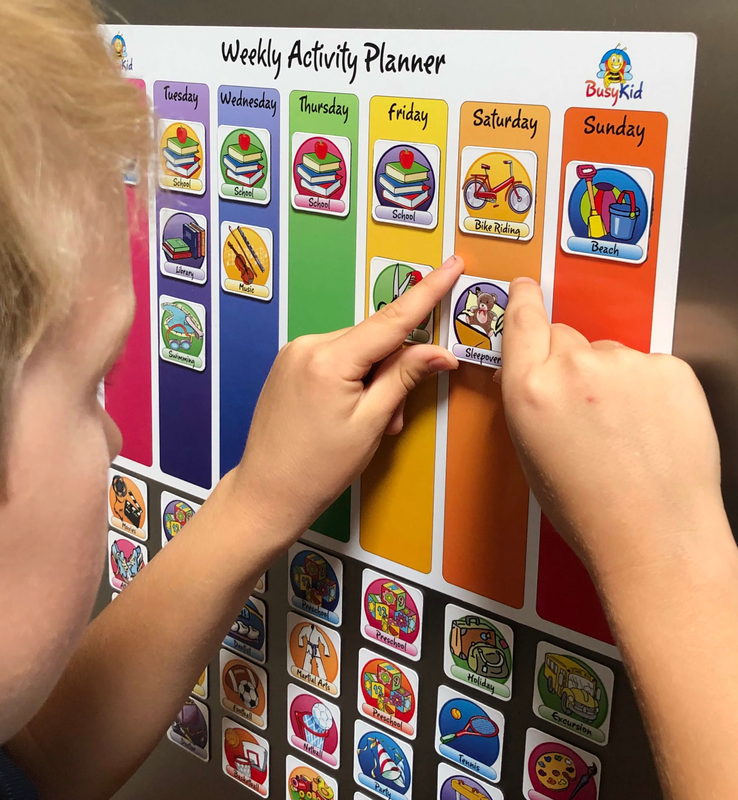 Each Busy Kid planner is fully magnetised and comes with a large base magnet and 40 individual, colourful magnets that include popular weekly school and after-school activities, daily routines, or age appropriate household chores. Made in Australia, following strict safety and quality guidelines, they are all designed by a Mum who knows how busy life with young children can be. Busy Kid empowers children to take an active role in their activities and helps build self organisation skills. Busy Kid Planners are a fun and easy way for young children to plan and organise the week ahead! Happy Easter! I hope this little guy sprinkled his magic around your house this morning.